50% reduction in heat up time therefore reducing energy consumption and saving on running costs. Achieving higher temperatures as no energy absorbed by the concrete slab. Provides a perfect base on which to apply finishes such as tiles, synthetic renders, decorative plaster and much more. With the tile ready surface it makes construction projects easier. 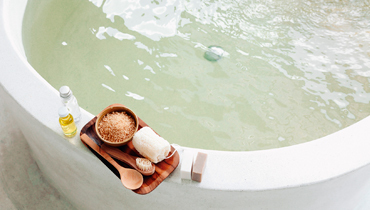 Resistant to water making ThermaSheet ideal for use in areas that are subject to prolonged or permanent water immersion. 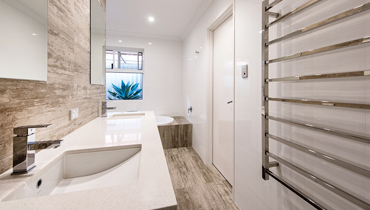 Uses include, wetrooms, showers, external walls, balconies and patios, garden water features etc. The boards are extremely lightweight and easy to manoeuvre, making projects less demanding and saving time on the job as a whole. Creating a large radiating heat surface. Heat source temperatures can be lower and creates an added benefit of the heat source spread throughout the whole room reducing heating bills. 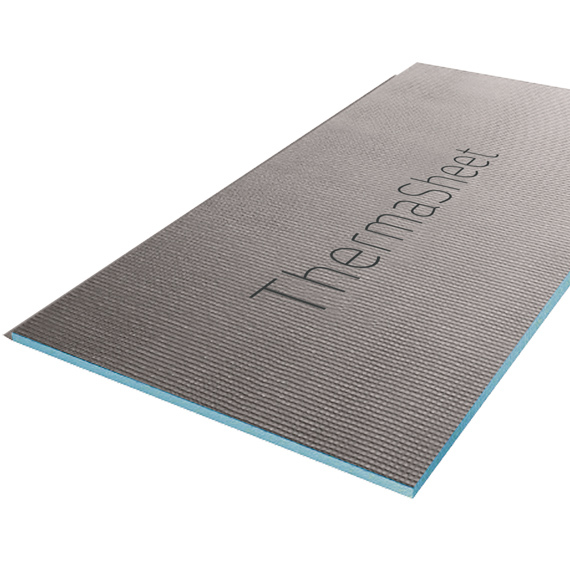 Given its waterproofing and insulation properties, ThermaSheet is particularly useful in both internal and external wet areas exposed to moisture. Typically, 10mm is used on the floors and 12.5mm on the walls, but our boards range from 6mm right through to 50mm to suit any project. ThermaSheet is environmentally friendly, it is CFC and HCFC free. 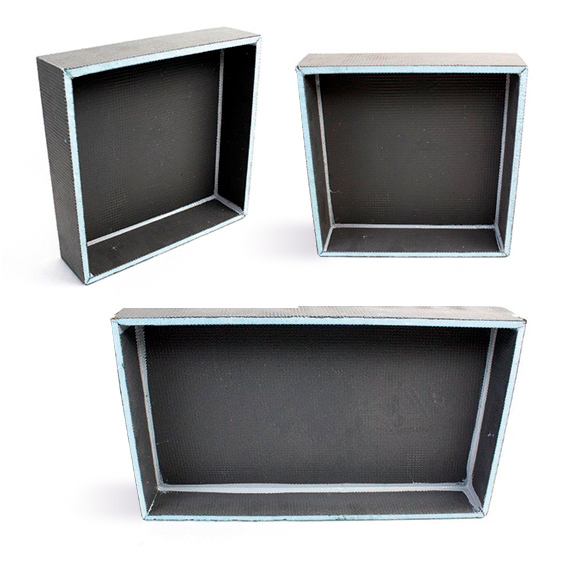 This rigid foam core is reinforced on both sides with a fibreglass mesh, plus a top layer of polymerised cementitious mortar, making it an ideal surface for tile adhesive and render. Our High Performance Construction Boards are the ideal solution where impact sound reduction is of particular importance. Designed for tiled floor areas where noise is an issue, it’s low mass helps absorb impact sound energy, giving enhanced acoustic performance. The specially manufactured cement polymer coated board gives the ideal surface to lay your tiles directly. Extruded polystyrene is one of the most efficient insulation materials available, meaning minimal heat transfer to adjacent materials. 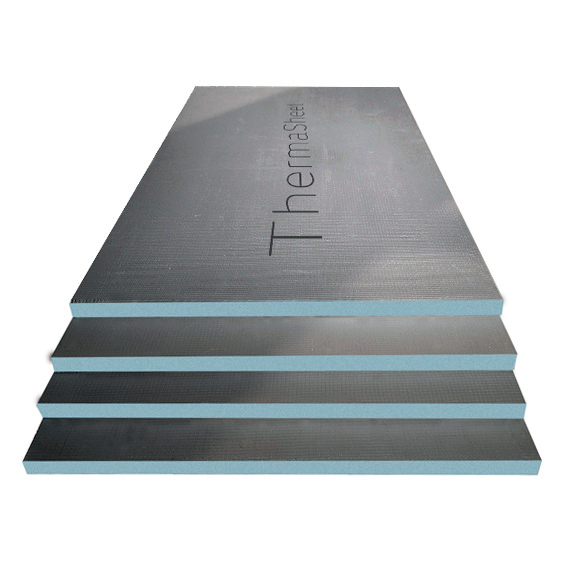 Given its waterproofing and insulation properties, ThermaSheet is useful in internal and external wet areas exposed to moisture. 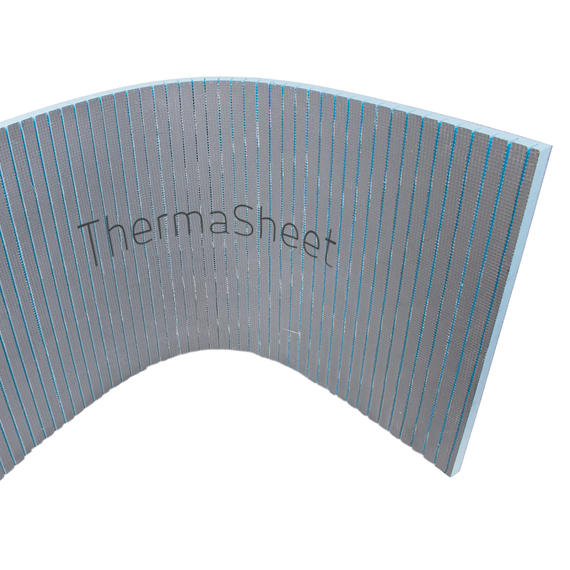 Wondering how easy it is to install ThermaSheet? Check out our detailed instructions and find out how easy it is to install.